February 27, 2019 4:48 pm. 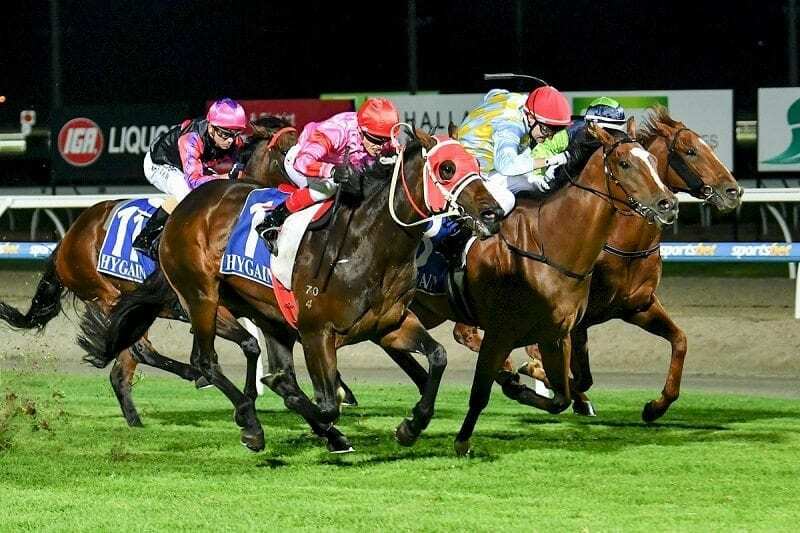 PAKENHAM hosts Thursday night racing and the team at Horse Betting has taken a look at the full card to deliver tips for the evening. Don’t forget to check out what promotions are on offer ahead of what should be a great night of racing. He Can Star made great strides in his second career start, missing out by three parts of a length without getting a lot of luck in the run. The horse comes to a pseudo-metro track after that Stony Creek run but we think the gelding is more than capable of breaking through here. North Afrika has made a habit of placing without winning across 13 career starts to date, placing eight times. Last time out the horse only missed out by a touch over half a length, which made it six of his last eight starts North Afrika has finished within a length of the winner. The penny has to drop sometime and we think this is a winnable event. Speedy filly Sumusu has finished second twice across her opening two career starts, improving significantly from the first start to the sophomore run. If the progression continues the Lindsay Park team could have an exciting filly on their hands. River Mist is the best choice in an ordinary field. Placing second twice from five runs, the filly brings in by far the best form of any runner in this field and gets just 56kg for the event.